Call Marla Vance today at *NOT DISPLAYED* . 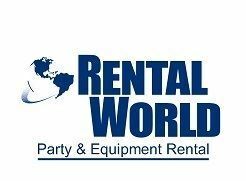 We offer valley wide delivery of well maintained rental equipment. Tables, chairs, linens, dance floors, heaters, chafers, fountains, restaurant equipment and much more. Call Marla today for a quote.